I have been through at least 10 tea kettles since I have lived on my own (I moved out when I was 21 so that wasn’t that long ago LOL). I used to think they were the cutest thing. I think I started sort of a collection at some point. I would make an “investment” and buy only those of the finest quality at the finest stores – Crate & Barrel, Carson Pirie Scott, Marshall Fields, etc. I really thought I was doing something. If Crate & Barrel was good enough for Oprah, it was good enough for me! Surely any product these stores would carry had to be the best, right? Wrong! I did say I’ve been through at least 10 tea kettles, didn’t I? By that, I mean sho’ nuff through LOL! 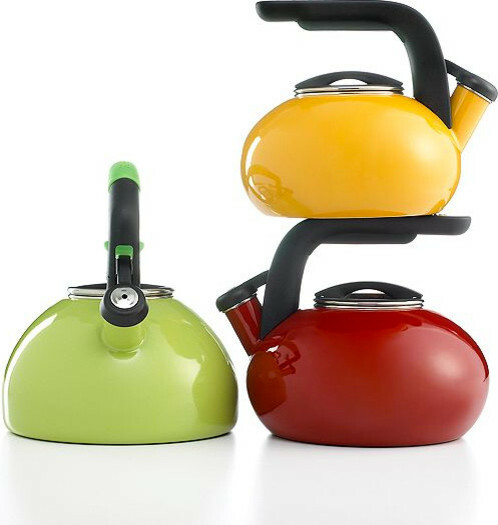 No matter how much I spent, the tea kettles, one-by-one, would fall apart, rust in the weirdest spots or the metal would swell and warp. I grew tired of this after a while. So for about 1 full year, I owned no tea kettle. Sacrilege, right!?!? How was it possible to heat a pot of water and know exactly when it was ready without a tea kettle?? I deferred to the old fashioned method – water, a pot, a stove and my eyes to check for boiling. This method worked quite well, actually. It was slow and time-consuming, but it was cheap and reliable! And then I had another baby. Heating that water in the middle of the night, with one eye open and the other closed, a crying baby on one hip and shaking a cold bottle in the other was no joyful thing, let me tell ya! It wasn’t until my sister visited me one summer (enter the sage) that I learned of a better alternative. Not only did she gasp that I’d never even known electric tea kettles existed, she purchased one for me and insisted I use it immediately! Concealed power cord – let’s face it…anything concealed in the kitchen (including the food) is good. It makes for a clean appearance.